Belletti Photography has been in business for over a decade and produces high-quality images for a wide range of discerning clients. 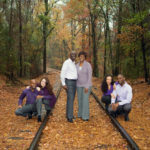 Serving West Georgia and the Atlanta Metro area, Belletti Photography has extensive experience in the fields of wedding photography, family portraits, professional head shots, corporate events, private parties, studio product shoots, and real estate & vacation rental photography. and if he is compassionate, it’s already a lot.